Arthur Rackham was born to a legal clerk and the daughter of a draper on September 19, 1867 in Lambeth, London. And very nearly seventy-two years later, his life ceased on September 6, 1939 in Stilegate. Cancer is what took him, but certainly not before he had lived a full life. 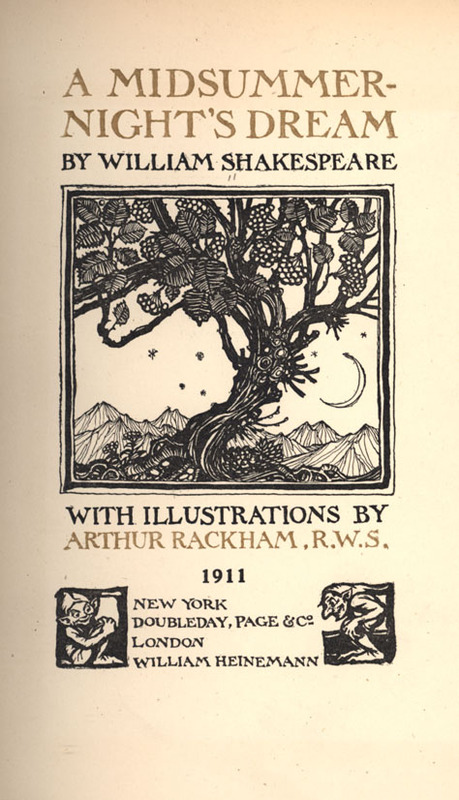 Before he became an illustrator, Rackham began employment as a clerk in 1885 at the age of eighteen, following in his father’s footsteps. Ultimately, though, this brought him no joy so he took night classes at the Lambeth School of Art. By 1884, his art, a satirical political drawing, was published in Scraps magazine and by 1892, he resigned from the life of a clerk to become a full-time illustrator with the Pall Mall Budget, later continuing his career in two other publications, the Westminster Budget and the Westminster Gazette. Married in 1903 to portrait artist Edyth Starkie, the Rackhams’ only child, Barbara, was born in 1908. Barbara was always a fan of her father’s and often assisted him in his works by posing for him as he would create illustrations. His art grew from caricatures and political cartoons to full-fledged whimsical interpretations of classic fairy tales and folklore as he was commissioned by publishers as a book illustrator. Using ink and watercolor, as well as block images, Rackham’s works provide a dark whimsy. It is said that he drew inspiration from early 16th-century German artists Albrecht Dürer and Albrecht Altdorfer. Over the many years of his career, Rackham was honored with numerous awards and business was steady for him. After the First World War, his popularity lessened in Britain, as mythological creatures were no longer seen as fun and whimsical, but as a constant reminder that life was not like a fairytale. However, across the Atlantic, readers in the United States were more than happy to get on board with fairytales and his popularity skyrocketed in North America. 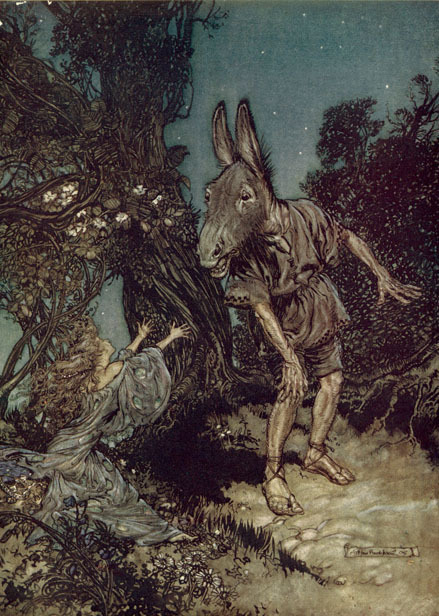 Even today, Arthur Rackham is most popular for his illustrations of fairytales and nursery rhymes, but he also created images for other works, such as Midsummer Night’s Dream and other Shakespearian works. At the University of Cincinnati, we have a collection of Rackham’s works that is nothing to sneeze at. 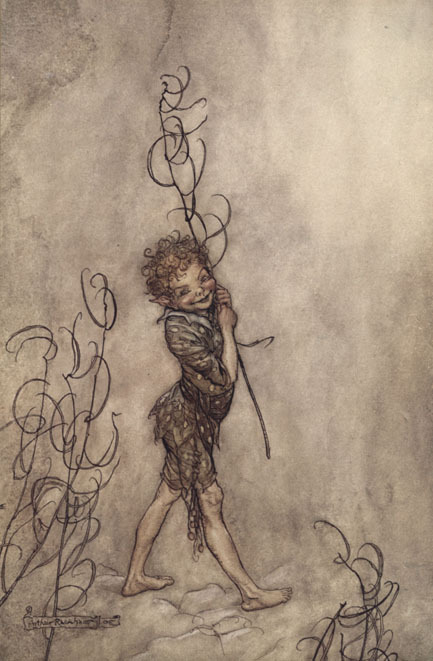 If one searches Arthur Rackham through the library website, they can see his name pop up in Langsam, the DAAP Library, the CECH Library, and of course, the Archives and Rare Books Library. For those that would like to view his works but don’t have time to go searching through stacks, UC also offers digitized versions of his work. As we continue the celebration of William Shakespeare in 2015- 2016, we’ll also look at other illustrators who took on the pleasure of putting graphic representations to his plays. For more information about the Shakespeare holdings or other ARB collections, please contact us at 513.556.1959, email us at archives@ucmail.uc.edu or visit us on the web at http://www.libraries.uc.edu/arb.html. Webb, Poul. 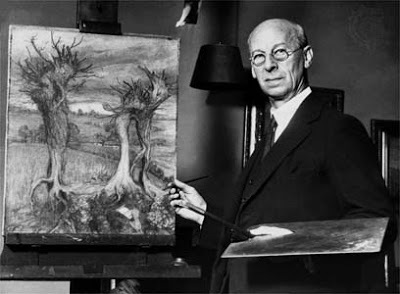 “Arthur Rackham – Part 4.” Art & Artists. Blogspot, 22 July 2013. Web. 27 Oct. 2015. 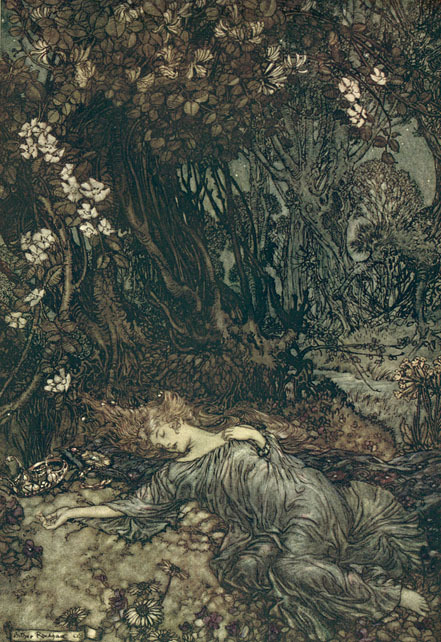 <http://poulwebb.blogspot.com/2013/07/arthur-rackham-part-4.html>.